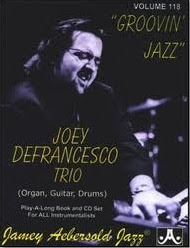 I have been using Aebersold play-alongs for decades and Joey DeFrancesco happens to be my favourite contemporary Hammond Organ player. 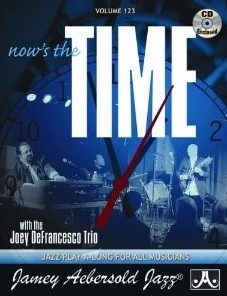 So I am happy Aebersold has issued two great play-along albums that feature the Joey DeFrancesco trio. You can find them on Spotify too. Volume 123 "Now's the Time"